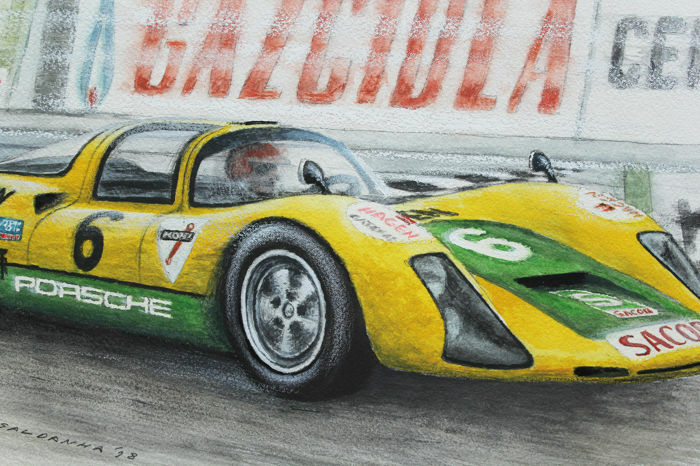 "Porsche 906 - 1972" is an original work by João Saldanha. 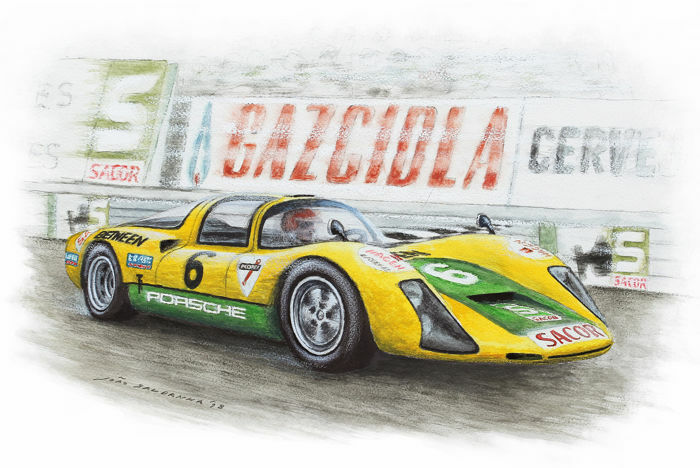 It depicts the 1972 International Circuit of Vila Real and the portuguese driver Américo Nunes. 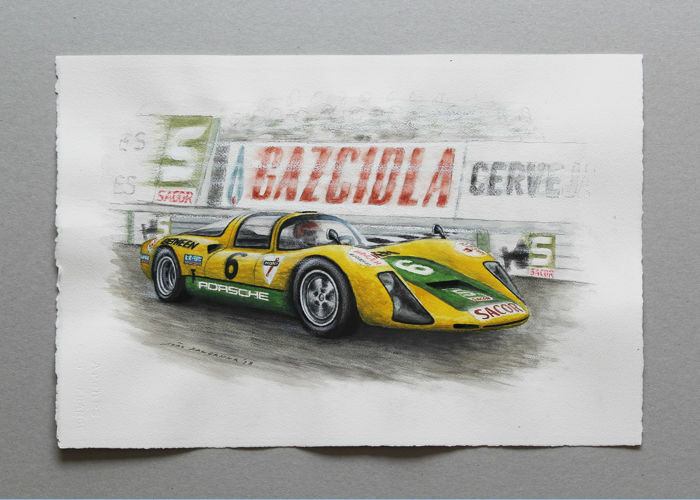 This illustration was made from several pictures of the actual event resulting in a original new work. 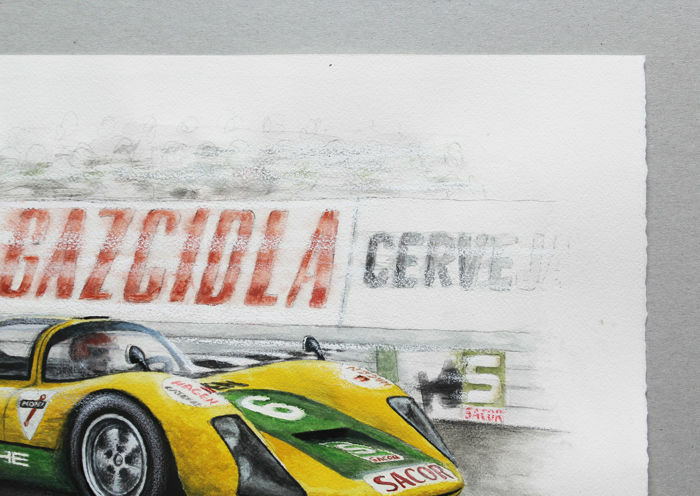 It´s an illustration done in watercolor and pencil on 300 gr watercolor paper (56 x 38 cm). Worldwide shipping in special package. 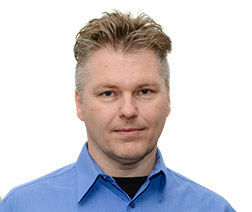 Born in Lisbon 1974, has an academic degree in Product Design from the Lisbon Fine Arts School (1998). 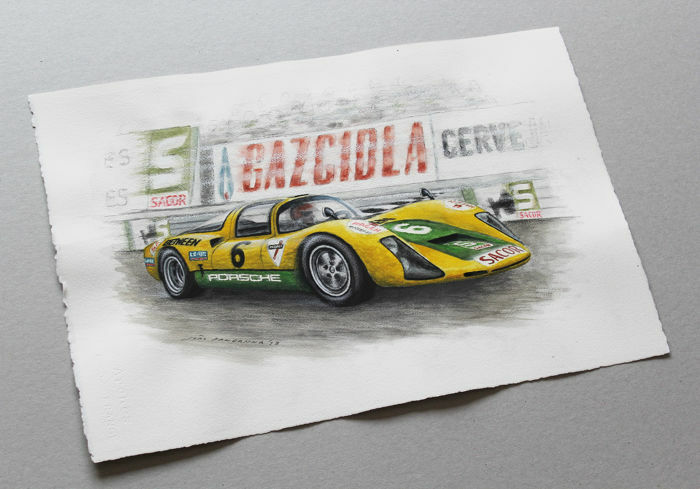 Since early age drawing cars has been a true passion, specialy regarding the 50´s and 60´s motorsports legends and now João works as a classic and sports car illustrator for portuguese and international private collectors. 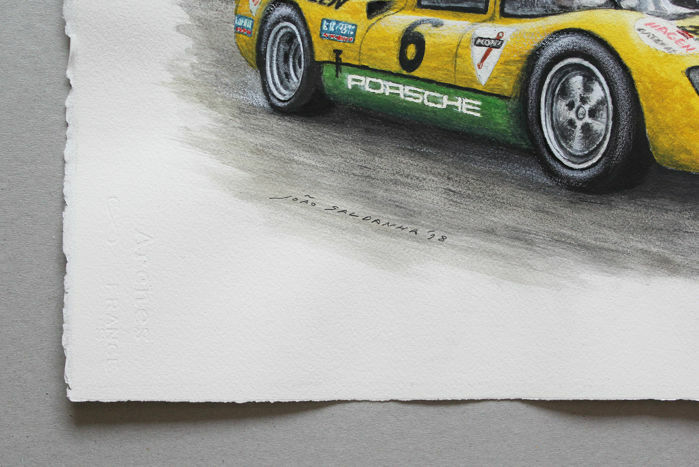 João regularly publishes his work in portuguese and international magazines and attends Portuguese and international classic car events. His works are part of private collections in Portugal, Spain, France, United Kingdom, Belgium, Netherlands, Germany, USA, Macau, Hong Kong, Australia and South Africa.